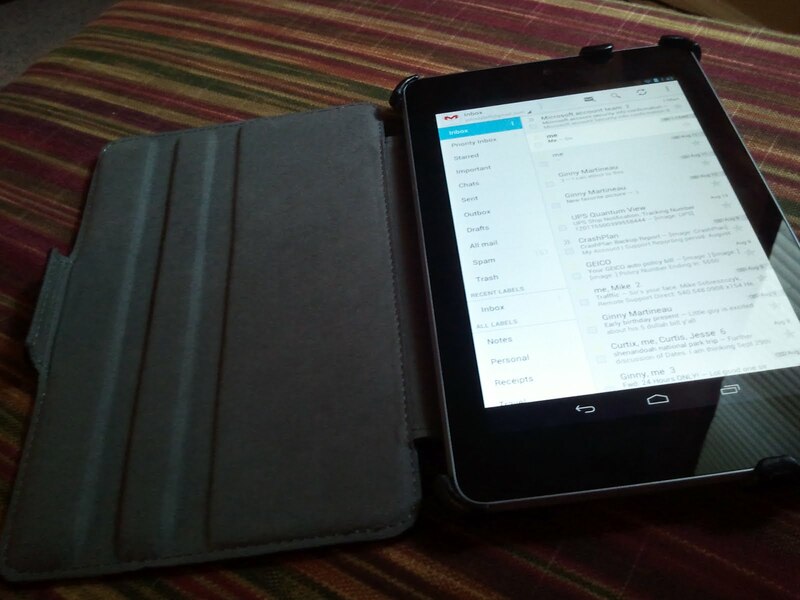 Weekend Poll – Do you use a tablet case or cover? Tablets are all the rage now. From the Ipad to the Kindle Fire to the Nexus 7, there seems to be one for everyone. But, now that we have this new technology, how to we choose to accessorize and protect it? The Ipad 2 with its magnetic smart cover was pretty revolutionary and if you own a tablet, there’s a fair chance there is something similar available for your device. So do you get one or not? I used to be one of those folks who prefer to use my device with no case or screen protection whatsoever, going naked if you will. I used to feel that it got in the way of the device and user experience. I’ve changed my tune though since purchasing a smart cover for my Google Nexus 7. I feel much safer toting it around because of the extra padding. I also enjoy the ease of opening up the cover and having the screen automatically power on because of the magnetic sensor and conversely having it power off upon closing. Most cases offer the ability to dual as a stand too so if you consume media on your tablet like most folks, you can do so a bit more hands free. So lets have a discussion, do you use a tablet case or cover? If so, what kind? Talk amongst yourselves in the comments.